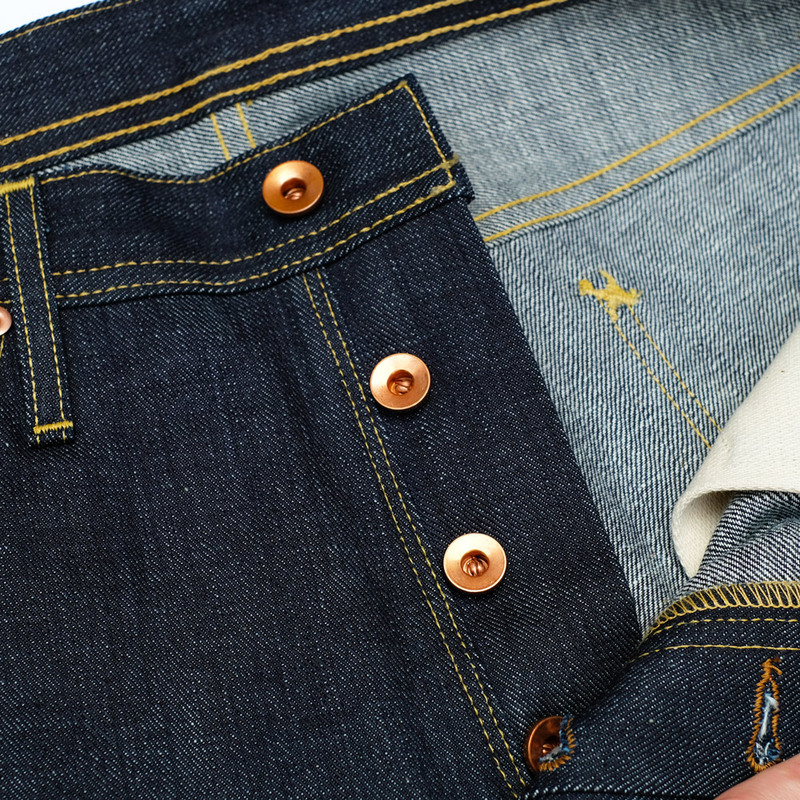 Ryan chose the 1901 Ryder fit for his first “ready to wear” pair of jeans for a good reason, the fit! 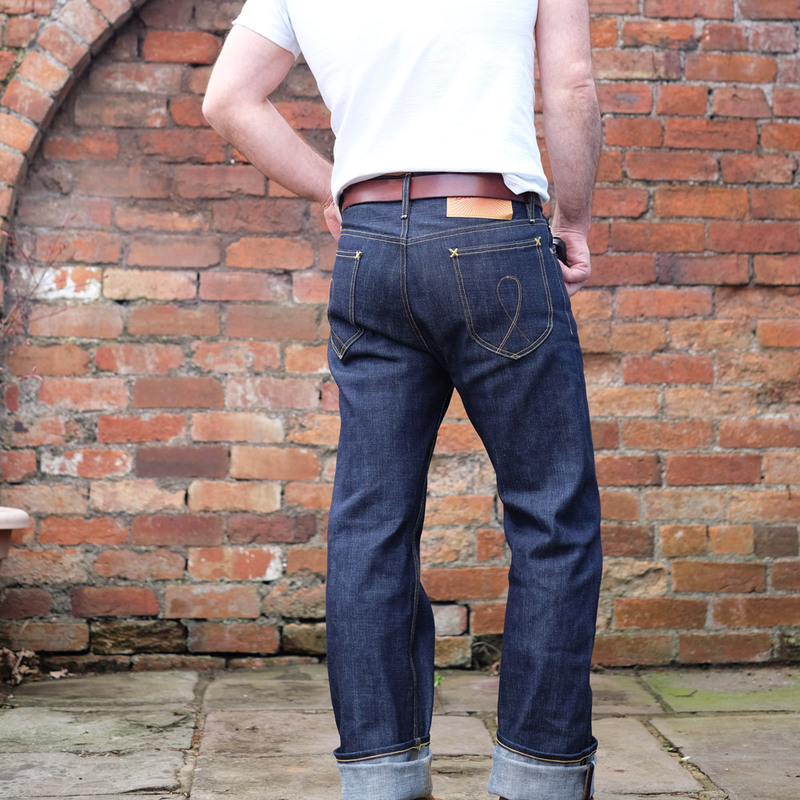 Slim and straight with a good nod to the western style of the original Lee Rider’s, which, due to the 12.5oz denim weight, drape nicely from the outset and will look superb with wear and washing. Particularly those arcs! 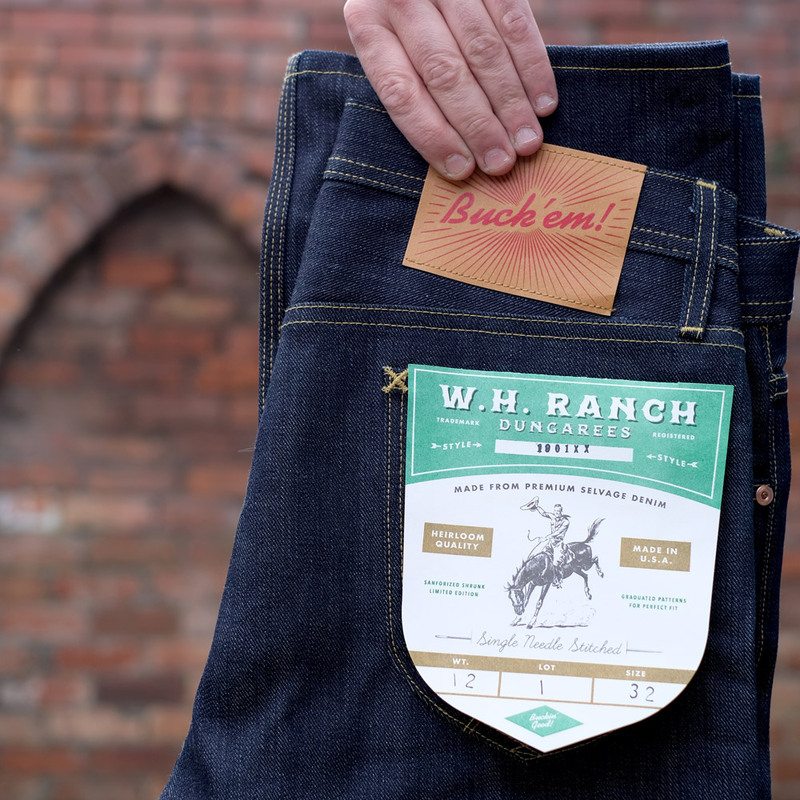 They are based on the original Lee Rider 101 pattern and have a vintage straight fit with a slim top block and a mid-higher rise. 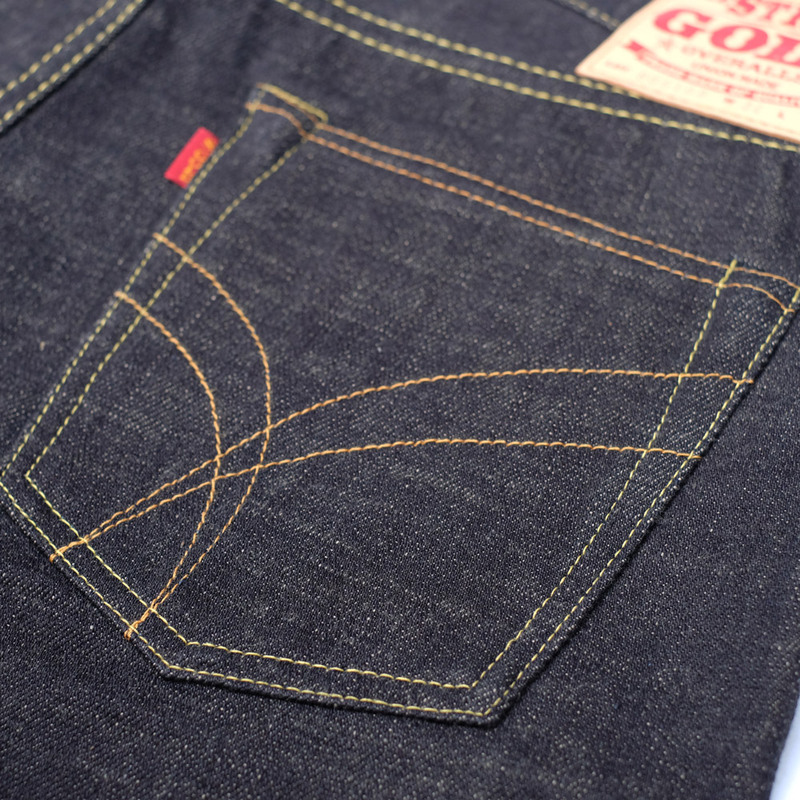 Constructed using vintage methods in the USA and made from Nihon Menpu 12.5oz Blue Line LHT denim. 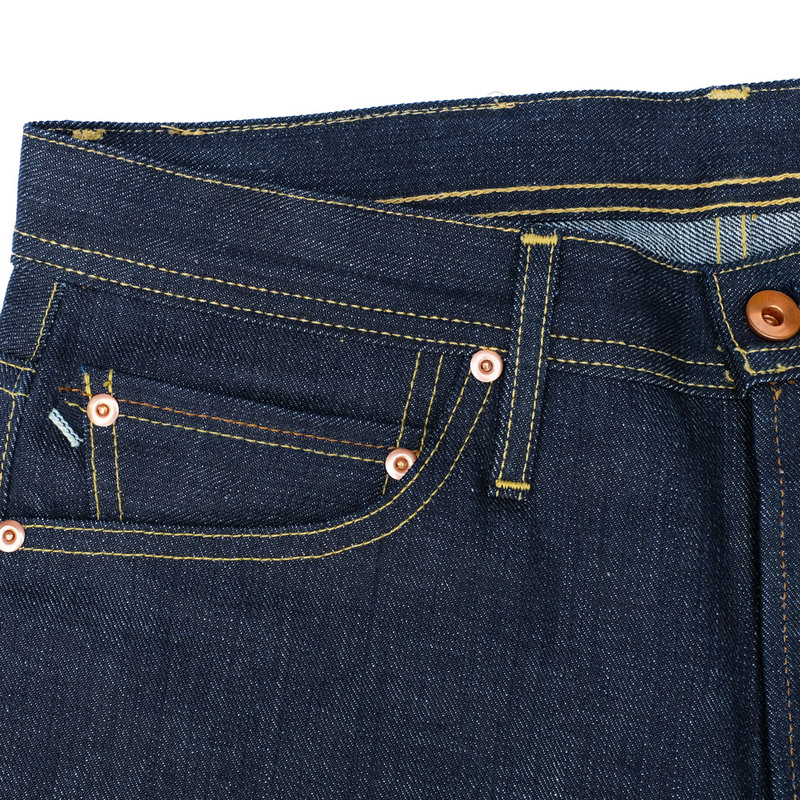 Constructed in LA they are triple stitched on the inside leg and double stitched in all other area’s of stress with riveted and tacked pockets. 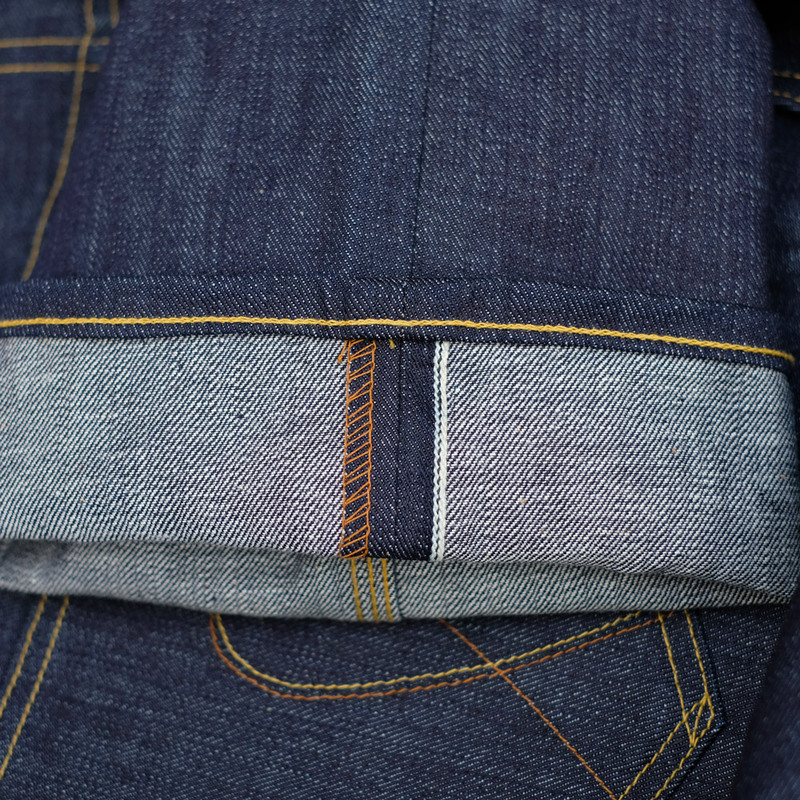 For the connoisseur the half selvedge side seams were chosen in keeping with historical accuracy. 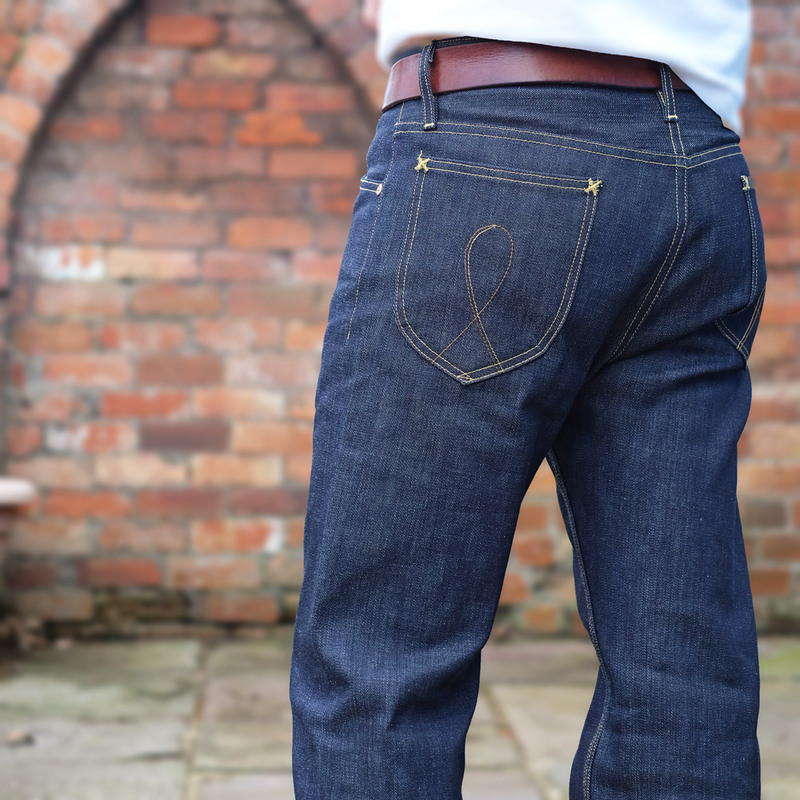 Made from predominantly USA made components they really are a solid workhorse pair of jeans that will stand the test in style. 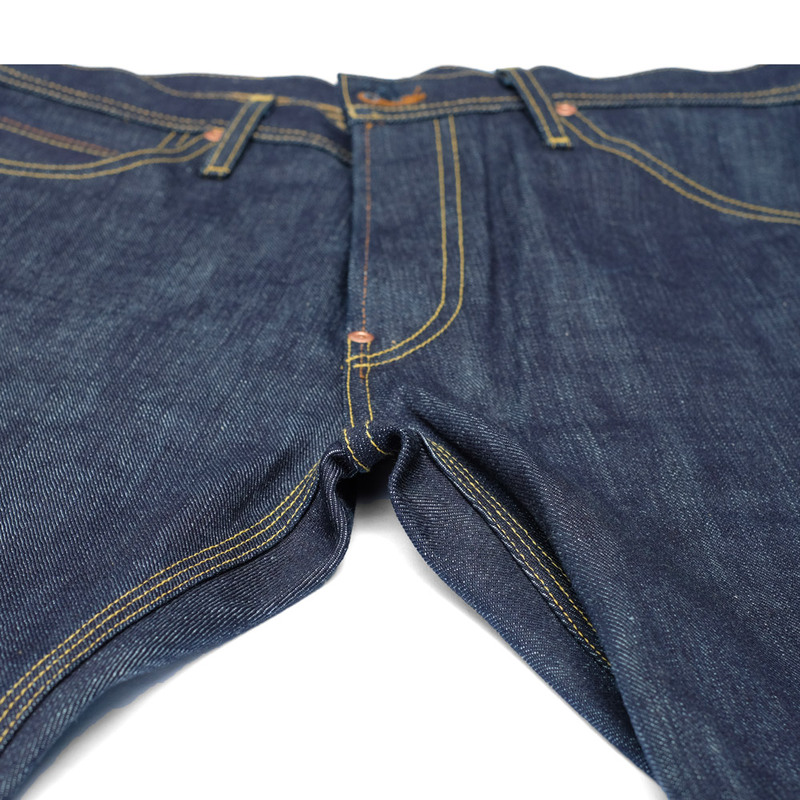 Sanforized Denim = No or very very little shrinkage. 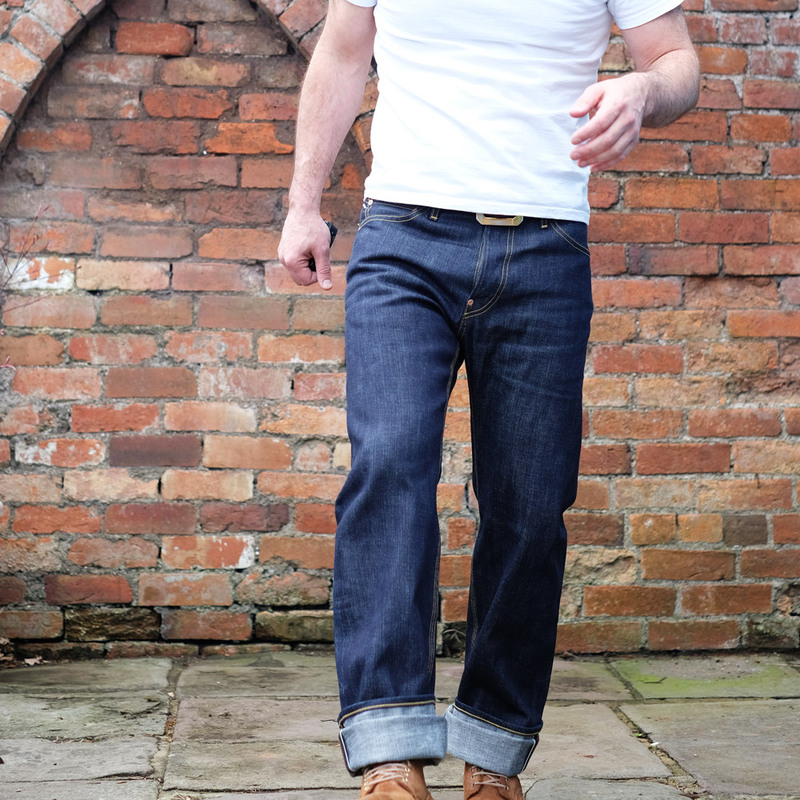 The “model” is wearing a size 32 for a slightly relaxed fit. 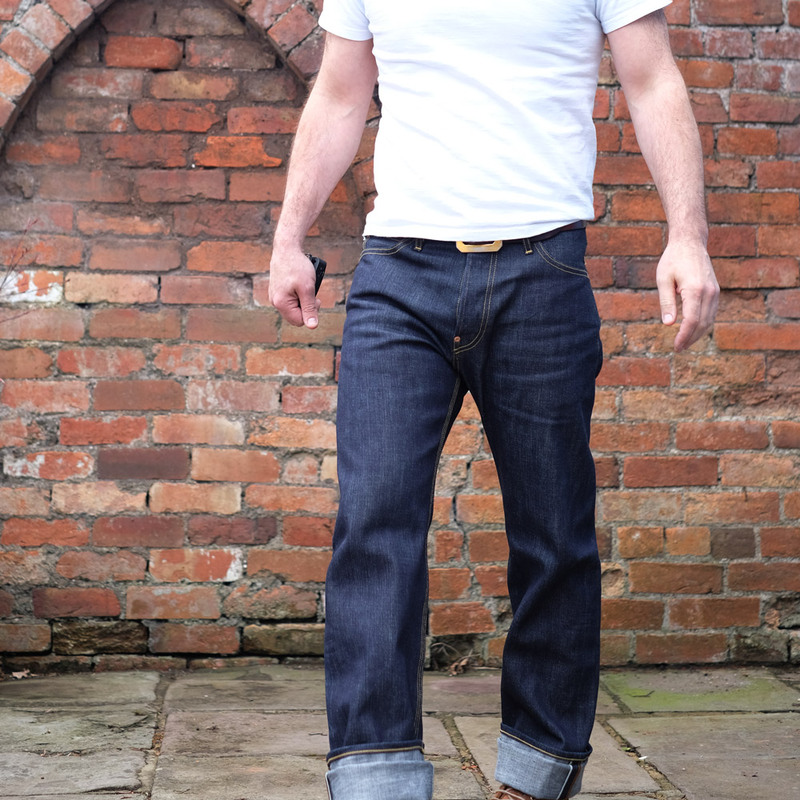 He could also wear a 31 for a slimmer look but not tight. 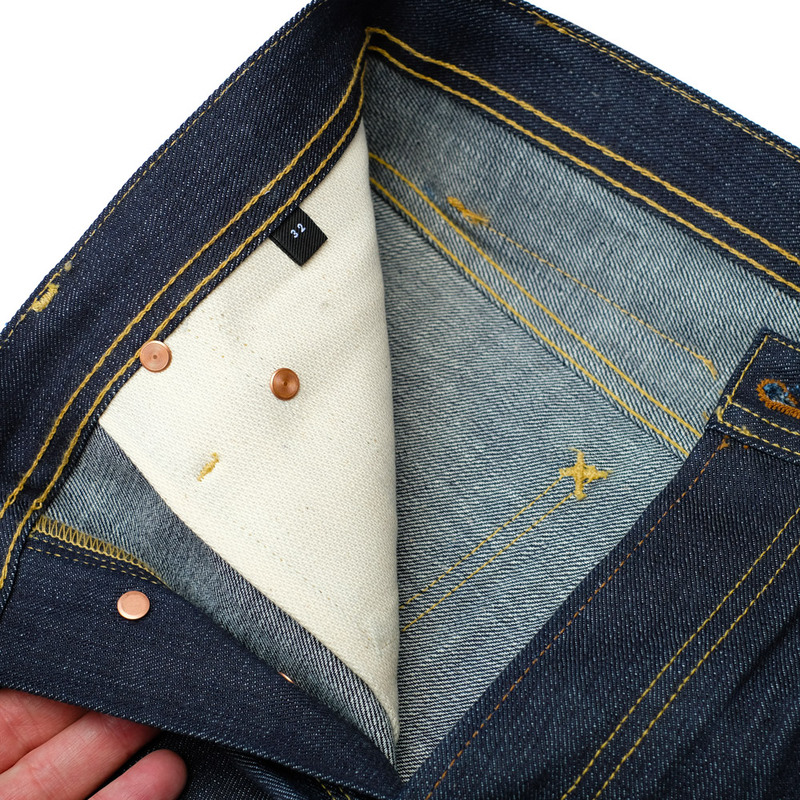 He typically wears a size 32/33 in most western/ Japanese brands. 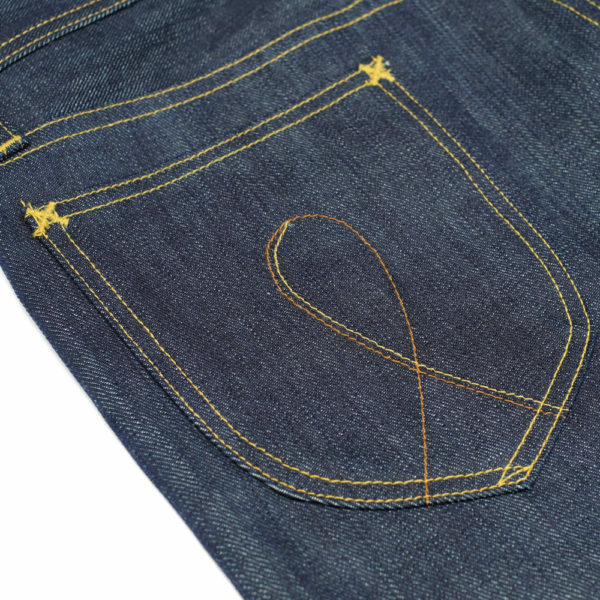 As with all denim they will stretch in the obvious area’s of stress but will not shrink as the denim is sanforized. Please see how we measure our products here and use the measurements chart against an item of yours that fits how you would like this to.